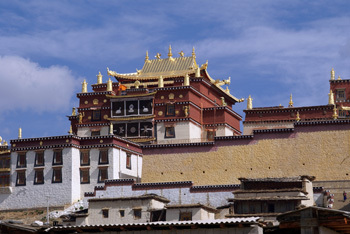 Even though Zhongdian is a couple of 100 kms from Tibet, and more than 1700 km from Lhasa, Zhongdian is supposed to be a Tibetan city. 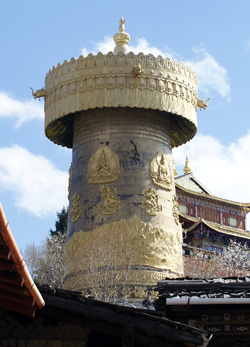 There are Tibetan-style buildings, a gigantic prayer wheel, a couple of bars called "Lhasa café" and a stupa with prayers flags. 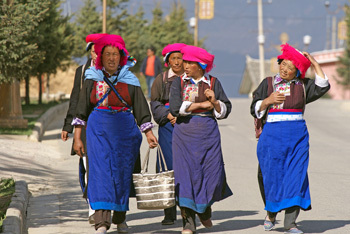 And Tibetan people walking in the streets. After a while, you notice that most of the Tibetan-style buildings are brand-new (or still being constructed). 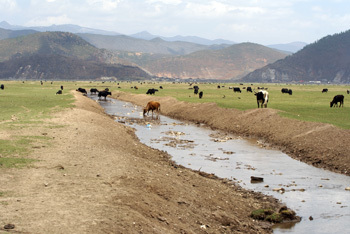 Is Zhongdian a true Tibetan city, or is it more like a "theme-park"?? 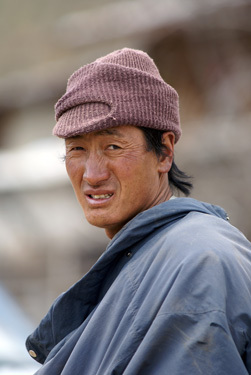 Anyway, the Tibetan people, with their weathered faces, look real enough. But the he monastery is real! It was founded about 700 years ago, by the second Dalai Lama. 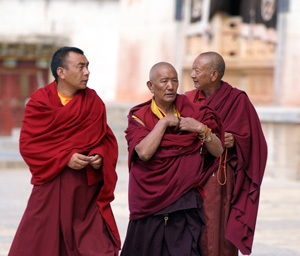 And YES, this is the first place where I can make pictures of real monks . The monks in Chengdu hated cameras, those here in Zhongdian actually like being photographed. 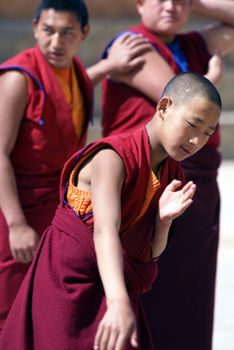 And I really like the debating contest, in which the young student monks test each others' knowledge of Buddhism. 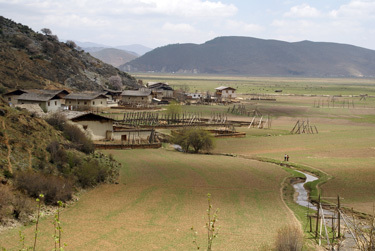 After the monastery, we visit a remote village with a small school. 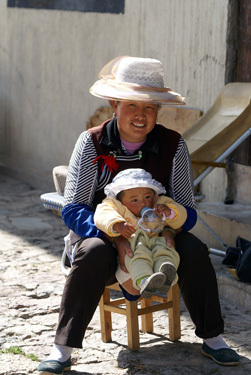 And we also have lunch with a local family. I'm not a big fan of Yak butter tea. Today we have a local guide, who doesn't speak very much English. The question "Are there any crocodiles in the Napa Lake" he answers with "Yes!". Well, I don't think there are crocodiles here. And I think I've seen this guy on the left before, in Kyrgyzstan.